Now, more than ever, Birmingham’s artistic community is thriving. 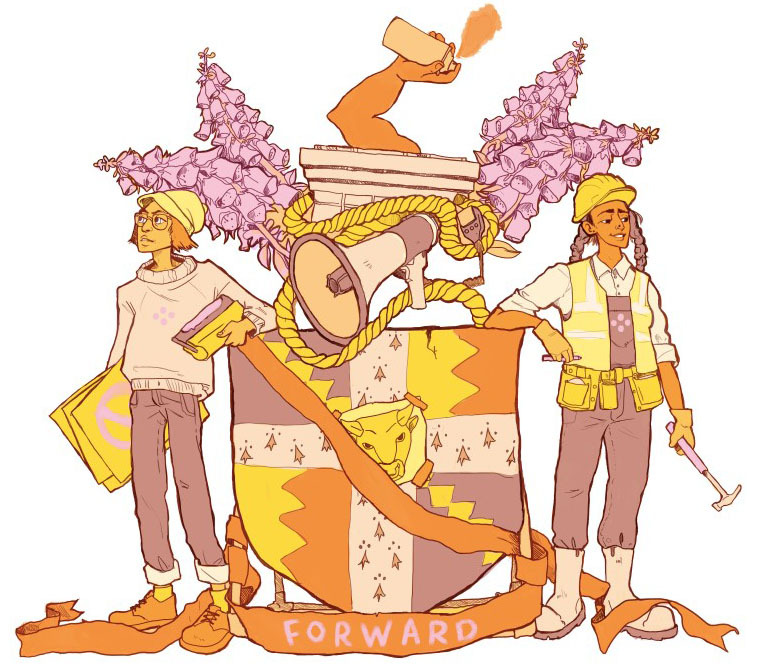 Forward: New Art from Birmingham is a group exhibition, including work by artists living and working in this city, to highlight the depth and vitality of a wide range of practices. Taking place in Medicine, the old gallery space of the Royal Birmingham Society of Artists, from which sprang the young generation that founded Ikon more than 50 years ago, it couldn’t be more in keeping with their progressive ethos, still informing our artistic programme to this day. For the opening, artist Kevin Atherton presents a live performance of In Two Minds (1978–2019). The work premiered in 1978 at the Serpentine Gallery, London. Since then there have been a number of re-engagements by the artist where he directly communicates with his younger self. On each occasion he brings himself at that point of his career, and accumulated experience, into the exchange. There is an inherent dynamic in the work between celebration and chaos, that is captured though the duality of perspective of time and of place. Medicine Bakery and Gallery, 69 New Street, Birmingham B2 4DU. Open daily, 10am–5pm, free entry. Please note Medicine Bakery is only accessible via a steep staircase. For access queries, please contact Linzi Stauvers on 0121 248 0708 or email l.stauvers@ikon-gallery.org.